The remarkable Richard Farnsworth, who, shortly after filming David Lynch's 'The Straight Story', bravely committed suicide rather than let terminal cancer run its course. 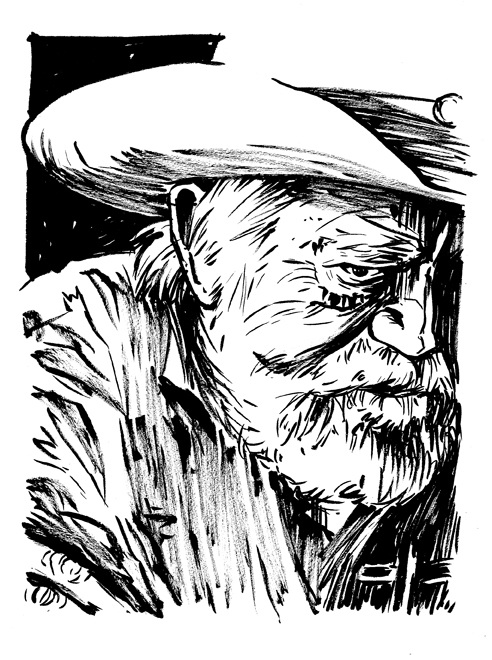 I pencilled this for my 10 minute portrait blog, and will be posting it in a day or two, but inked this tonight and wanted to post this version ahead of it. Feel like I'm really close to achieving a sort of 'zen' state with these, some of the best drawings I think I've ever done.